Both Kaspar and Ali (of @treibdesign) answered the following questions. 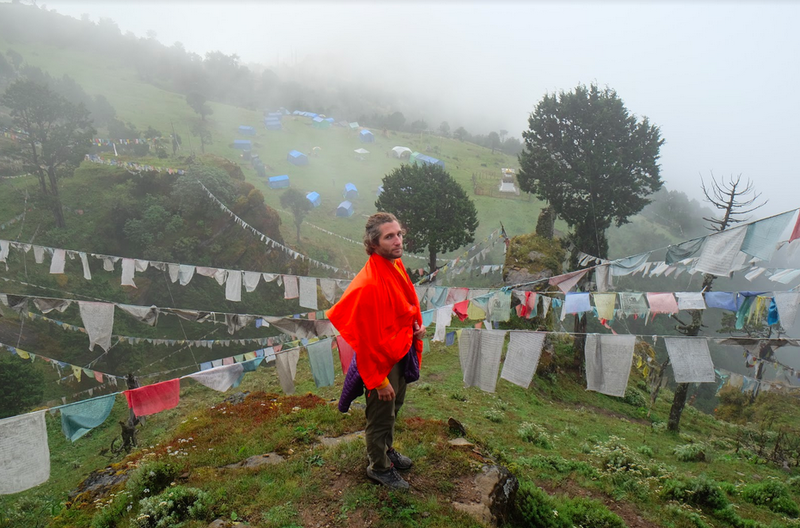 Kaspar Heinrici is an artist, an Industrial Designer, and long distance skateboarder who started off as a Cultural Anthropologist living with Lamas in Nepal studying amonastic Buddhism. Alexandra Filippelli is an archivist and a photographer who spent her early years studying art history and trying to recreate her favorite pasta dishes eaten while abroad in Italy. You left your job at Fossil 18 months ago to travel around the world with your wife, Ali. How long did it take you to decide to make this decision? And what was the decision process like once you decided you wanted to travel? Looking back to Sept. 25th 2015, it was the day before we were getting married and our realtor called to say that our offer on a house in Dallas was accepted. In a way that helped us to realize that we were over committing, yes we wanted to be tied to each other, but no we did not want to be tied to a place. In that moment we looked at each other and I told the realtor to back out of the contract on the spot. That began a period of wondering, “Well if we are not buying a house and settling down, then what are we doing?” That Spring 2016 I began researching the possibilities of traveling for a year. You see people on Instagram all the time and come up with any number of reasons why it is unrealistic to do this yourself, but when I started to look into it I realized that at this point there are so many people who have done this and there are guides and even budgets to help you start (I found this one to help me start from alittleadrift.com). I’m not sure when exactly, but one night before falling asleep I mentioned this idea to Ali, and without hesitation, and without the questions on details that I expected, she said she liked the idea with genuine interest as if she understood my realization. We liked to travel, but quitting our jobs to travel the world could not have been an expected proposal. The key to making this work was that we both realized it was something we could fully commit to. Were you ever scared / nervous / excited about your new life with no work, traveling, few possessions, and a different set of responsibilities? Can you describe the emotions that accompanied this life changing decision? Although there were many unknowns, and getting your affairs in order to do something like this is not easy, it is extremely freeing once you begin. We would not have the benefit of regular income, but we had budgeted well enough for that. We would have to pack all our stuff into storage, but then we would barely be paying rent. We would not have regular access to healthcare or dentists but we got all that squared away before we left. We wondered how long it would take me to shed our work routines and worries from a corporate job, but the reality is that those concerns faded away within a matter of days. It was fascinating to see how quickly all the things that had seemed so important were so trivial, particularly not having to face an email inbox every morning with a new catastrophe to sort out or even just the general 150-250 new emails that can come in everyday. Now we would have time to draw, write, journal, converse, read, share our thoughts and most importantly enjoy every sunset we possibly good. We allowed ourselves a real sense of purpose, to be liberated and we did not need to “know” what our future held. After you drove across the country, how did you pick your first country to travel to? 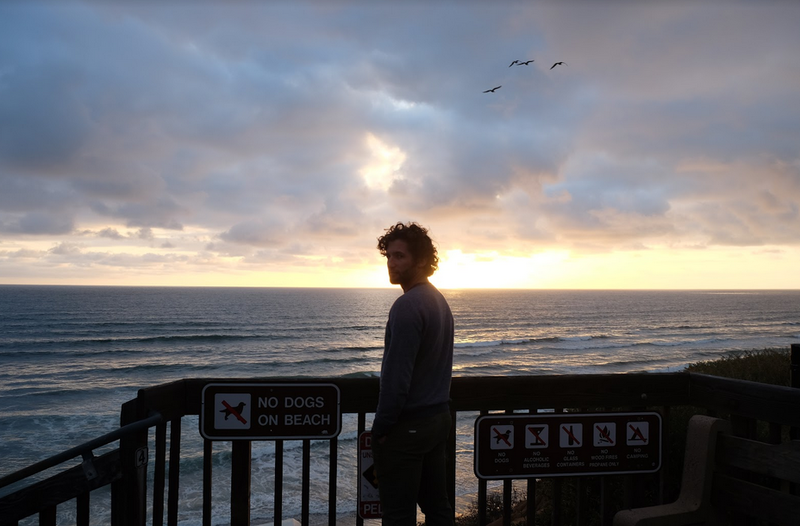 We love to hike, camp, and go on road trips, so we thought the best way to ease into this long journey was to start with the car, my Ford Fiesta, and do a tour of the West Coast (via Dallas) from Baja to Vancouver. 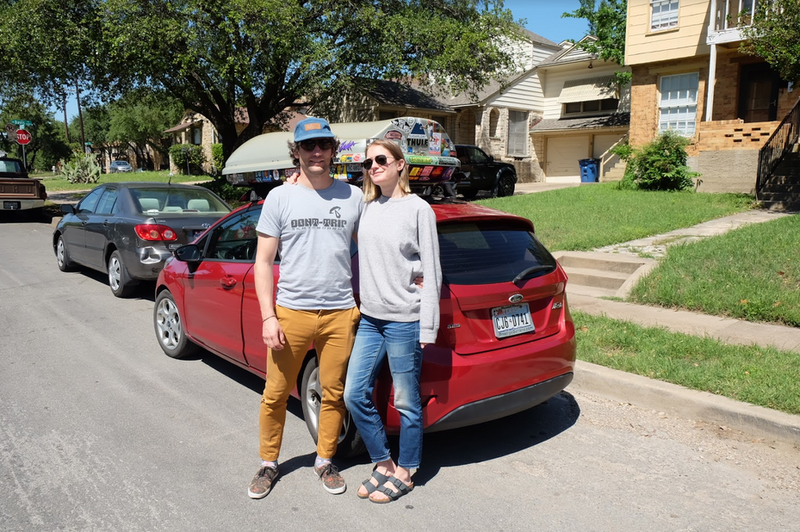 It got us into the habit of having limited resources and planning on the fly while still having the car as a little home base. 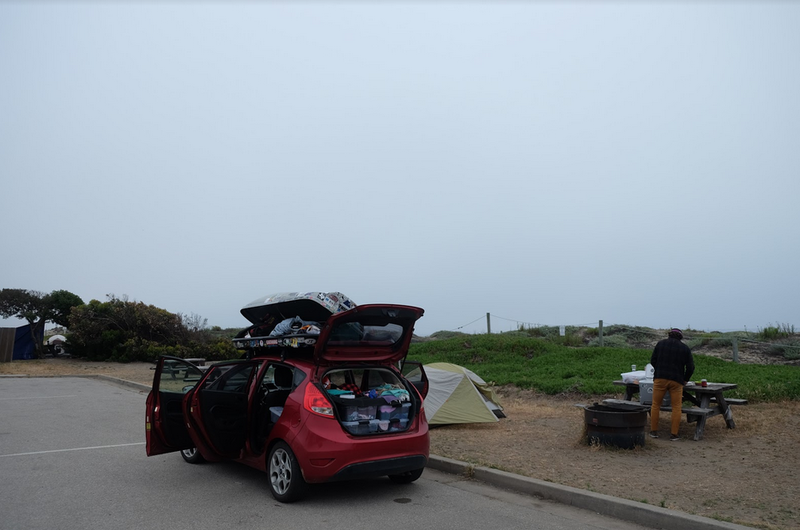 People with RVs were amazed by how much we could fit in our Fiesta with a Thule roof rack and a surfboard on top. After the road trip, our first international destination was an island in the middle of the Sunda Strait of Indonesia. I had read a book about the explosion of the volcano Krakatoa in 1883 and thought, “it would be cool to see the site of the deadliest natural disaster in human history.” Our criteria for “purpose” was asking ourselves what we felt were the things we most wanted to do in life that did not fit in with our previous lifestyle. We were making our theoretical ideas and travel dreams happen. Kaspar dreamed of learning to surf, so Sumatra in Indonesia was a natural jumping off point. We found one way tickets on Aug. 17th, 2017 for $386 a piece! Ali’s dreams were less specific, she just wanted to be out in the world interacting, learning, eating, documenting. 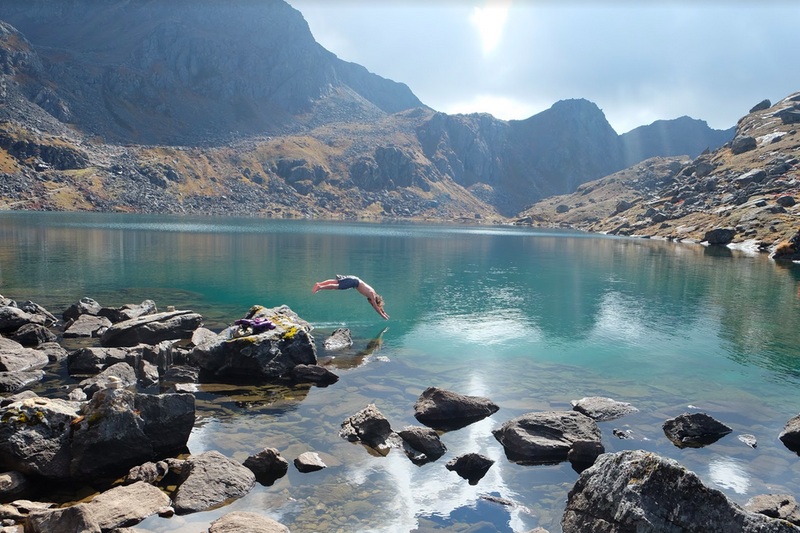 The idea was to start with 10 days in a more controlled resort-like atmosphere and then begin our travels, sort of like just dipping our toes in the water instead of jumping in head first. Beyond Indonesia we had only planned ahead of time a trip to Bhutan in September (due to a complicated visa process). From Sumatra we planned our next moves very last minute, which was a key to staying open to new opportunities that would arise and not being locked into an arrangement before getting a sense of the place we were visiting. What are the three biggest takeaways from your travels abroad? We became better at seeing what our priorities should be and not letting trivial matters distract us. In our experience some people (ourselves included) have a tendency to see problems where there are none or react to issues too quickly. Often times we found that by not addressing looming issues right away, they would resolve themselves and we would smile at each other when the solution presented itself thinking, “glad we didn’t waste time worrying about that one.” This would happen when considering where to stay, we would resist the anxiety about not having booked a place when all of a sudden someone would invite us over, or a room would open up, or something totally unexpected would negate the need for a place to stay. When you are relaxed and patient everyday problems have a habit of resolving themselves. 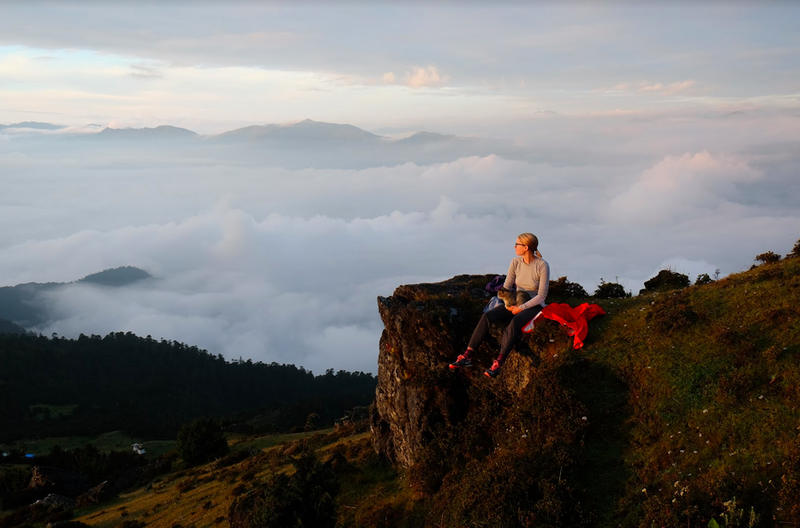 When to say “No” and when to say “Yes.” Before this trip we found ourselves saying, “yes” to all seemingly good opportunities when they presented themselves under the false pretense that it would help us reach our full potential. On our trip we learned to start saying “no” to offers that although lucrative or enticing for various other reasons did not fit our current goals. This left us open to saying “yes” when someone would ask us to come visit them. By waiting until the last possible moment to book travel or lodging unless absolutely necessary we were open to new experiences and the world took on a sense of meaning again where fate and free will would interplay producing amazing results. Patience. Patience. Patience. As civilization and technology march onward people grow to have greater and greater expectations for how the world should work. Timeliness and efficiency vary by country, but the reality is that you need to be able to adapt to whatever situation you are in. We have read a lot about survival situations, and the people who survive are the ones who realize their new reality and are able to shift their expectations. It is similar with everyday travel scenarios. We learned to adjust to our situation no matter how crowded, how delayed, or how uncomfortable it got. When you can do this successfully then your experience is always good, you meet people, you engage, you can enjoy the predicament and learn from it. As we moved onto each new country, it became easier to see everything as a learning experience, especially through our own ignorance and folly. On a trip like this there is no ultimate destination, so being patient and letting the trip grow longer, only made it better. Obviously this was a life changing event — to pick up your conventional life in Dallas and pack everything up — and travel. Do you *FEEL* different now, 18 months later? We do feel different. Our communication skills have improved with one another and with others. Our ability to know happiness and be able to identify what matters most in our lives has improved. Having the time to get to know what truly matters to us is invaluable. Understanding what expectations society has formed for you and what you truly desire is something that I think we both realize with great clarity now and that makes us feel more ourselves than before. What were your top 3 favorite countries you visited and why? This question really cant be answered. We tried and Ali kept listing more places…we honestly loved them all. But three unexpected places were Sri Lanka, the Philippines, and Korea. They are places we had not initially intended to visit, but in some way or another ended up as our home for a few weeks. In Sri Lanka we randomly connected with an old Scottish DJ friend we hadn’t seen in over 10 years, we ate the most out-of-this-world fruit, helped a young couple open a cafe, and made amazing friends from Spain who invited us to come to Portugal (which we did). 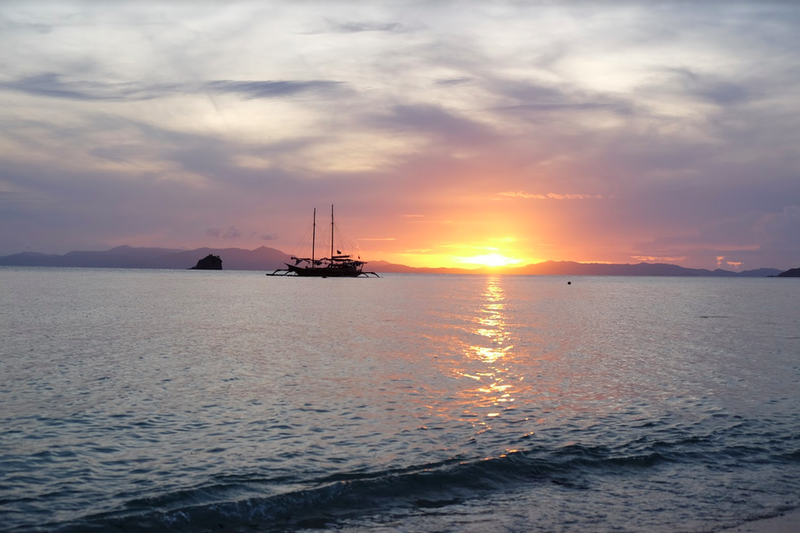 In the Philippines we saw the most beautiful beaches on the edge of the Mariana trench, surfed with the locals, slept with the chickens on an overnight ferry, and slowed down a lot – like a lot. In Korea, where we spent Christmas and New Years, we admired the intricate and studied traditions of furniture making and architecture, stayed warm with rice cake soups, elegant teas, and radiant floors, and we immersed ourselves in the local design and contemporary art scene. (You can find more details about some of the countries we visited on the blog). After traveling and seeing the world for so many months, how do you feel being back in the US? Our trip brings into focus how in many places there is a strong sense of local community, how real conversation still matters, how kindness and goodwill stretches not only to include foreigners but in many cultures hosting foreigners is an inherent and sometimes religious duty. The focus on cooking, education, science, family and issues that truly matter to quality of life seemed to be the immediate concerns for many people. The topic of conversation was never about someone’s tweets or the distraction of social media. The only time we felt the affects of politics at home while traveling was when the American Embassy in Israel was moved to Jerusalem and there were protests in many Muslim countries. The only culture shock was when Kaspar came home and experienced the multiple security checks, rechecks and separate lines for foreign visitors. For the first time he felt like he was visiting a dangerous country and he was going home. What do you want now — to continue traveling? To have a home and a car? Having a home would be a nice comfort and it wasn’t always awesome to be living out of a bag, but for now we are applying our new found focus. The idea is to pursue projects that truly appeal to our sense of purpose and this does involve travel. 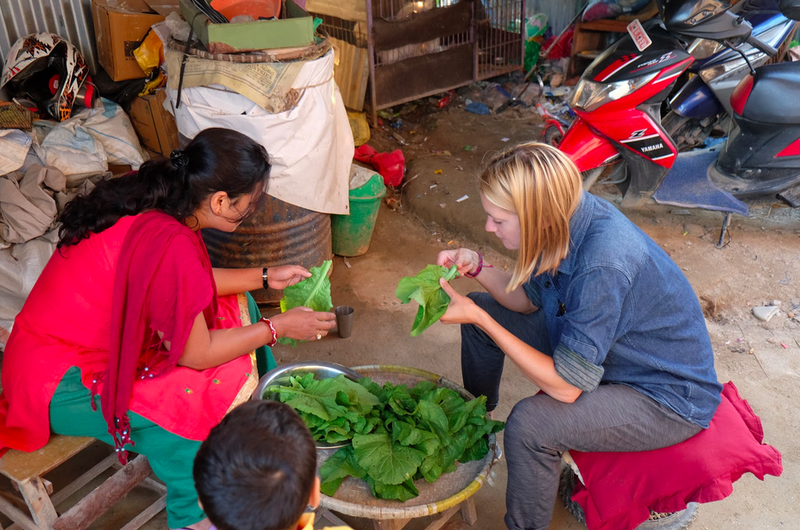 Ali is pursuing her love of cooking and will be studying the cuisine in Oaxaca, MX on our upcoming trip in November where Kaspar will be doing a Natural Pigment Dye Silkscreen Artist Residency. Ali is also following her passion for documentary photography by curating her photos of food, travel, and our current projects (which you can follow at @theroughlycut) Kaspar has been doing projects that make use of his love for design and foreign cultures. In September he was in Ningbo, China painting a mural on a skatepark for the grand opening. A few weeks ago we produced a silkscreen edition at the Wassaic Project in Wassaic NY . Advice for people who want to take a trip but are too scared of their responsibilities and obligations back home? We have met many people that truly do not want to travel. It seems baffling to us, but it is important to know yourself, maybe you are not meant to travel. However, if you are the kind of person who says, “I would love to do that, BUT?” Then analyze the “buts” and see if they are real or imagined. We met people with children and people who have taken their families on similar trips so that does not rule them out. Asking yourself who your obligations are to? Asking yourself what the true value of travel is versus comfort? Many of the skills gained during a trip like this are as valuable if not more so than the ones people want to see on a resume. If your goal is to do a year long trip and go right back to your old lifestyle then it is even easier, because I can guarantee you all those jobs, concerns and obligations will definitely be there waiting for you when you get back if you want them. In this case all you have to do is budget for the trip and go. From day one people will ask you, “what will you do when you get back and where will you live?” You can choose to ignore that question, we did. 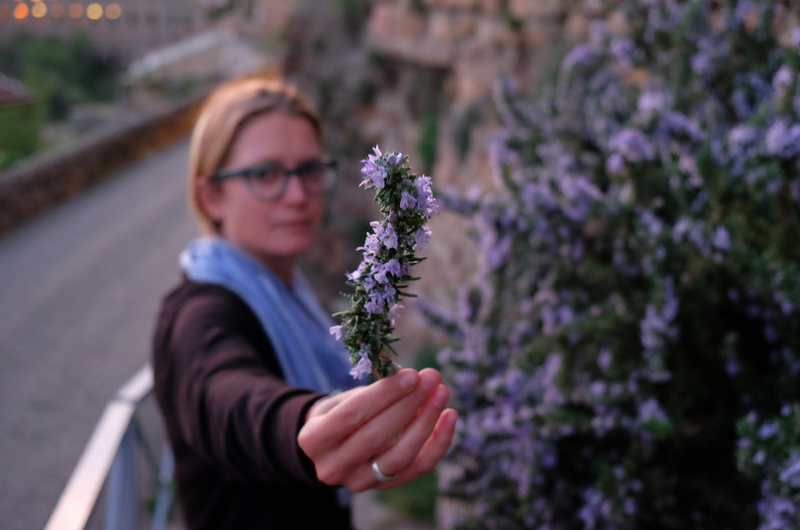 I know that whenever I travel, I want to take a part back of my learning experience to my daily life — a ritual, a habit, a greeting — but then I get wrapped up in my current place, and forget to follow through. How do you carry your travel experiences / learning moments back in to your everyday life? Meditation (that we learned in India). This helps to reset your understanding of your self as it relates to humanity on a regular basis. Being less self conscious. When we travel we are always in awkward unfamiliar situations where you need to get over your sense of embarrassment. Being able to meet people and not predict what their language, their attitude or their composure, before actually speaking with them is a skill. When we are back in NYC, we will still try and engage people in conversation and make jokes so see their reaction (whereas before we would just go about my business). Most New Yorkers perceive themselves as too busy for small talk, but sometimes you get a real interaction or spark a genuine moment of laughter, if not there is nothing lost. A journal. We had a shared journal during our roadtrip portion and then went we went abroad we each started our own, and it stuck. 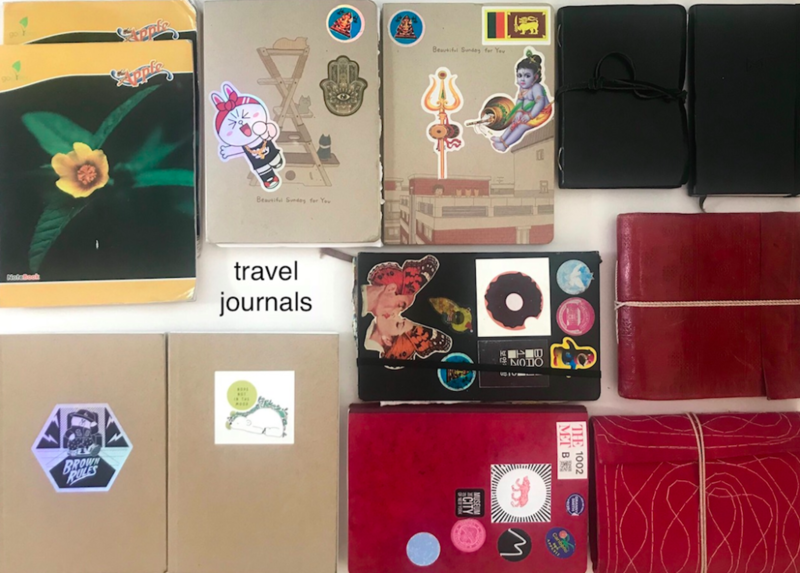 Now about 6 journals in (each) we have records of our experiences, references that we can go back, illustrations, ephemera taped into our books -physical proof that we were actually in these countries…that the further we are removed, the more unreal it all seems. Also we sent postcards. Lots of postcards. It’s a fun way to interact and is a physical object that you can hold in your hands and pass on. We still send postcards now. Favorite food you tasted? Most beautiful place? Location where you felt a shift in your life? Ramyeon in Korea, Couscous and grilled sardines in Morocco, Bun bo Hue and iced coffee in Vietnam, razor clams and white wine in Portugal. 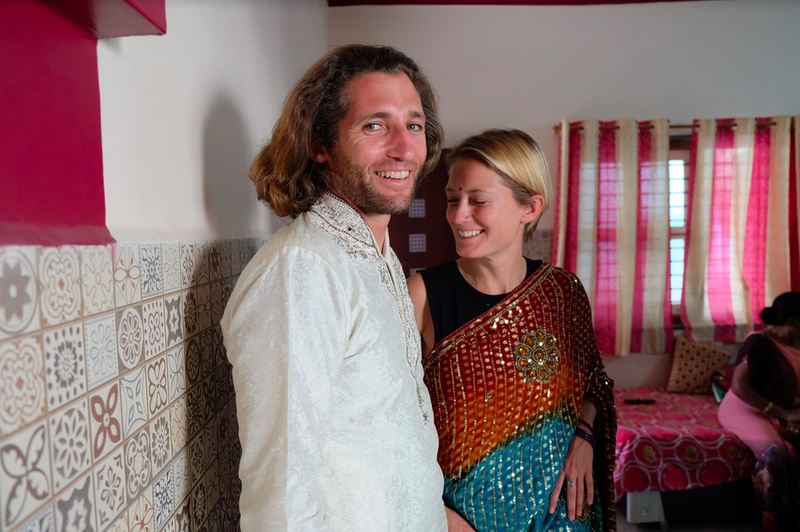 It sounds cliched but at about 6 months of international travel (9 months total) we went to an ashram in southern India, it was the perfect time for us to go. We had so much to process after so long on the road and every single day spent together. The time there gave us the opportunity to quiet our minds and slow down, control over our lives where taken out of our hands. We both noticed a shift in how we related to people, how we experienced frustration and anger. It was at the ashram where we made a really good friend who invited us to visit his family in Patan, Gujarat, India for a week. It was intellectually the most stimulating place. We are still in touch with our friend who has a PhD in Kryogenics and his parents who are life long educators that truly value education above all else. Place that you had the most INCORRECT impression of it? One might think the Buckit Peninsula on Bali is an exotic secluded place based on instagram pictures but it is very similar to most tropical vacation hot spots with big resorts and all the amenities you will find in any Western country. If you are looking to have your usual espresso and lay on the beach then that is what you will get. If you are looking to experience local culture and seek out unique perspectives it is not the best place for that. Next countries you want to visit? So much still to see. I really love the idea of giving your problems time to solve them selves. I often find that when I am the least stressed my issues are not so big anymore. This resonated with me very deeply. This article was so inspirational. 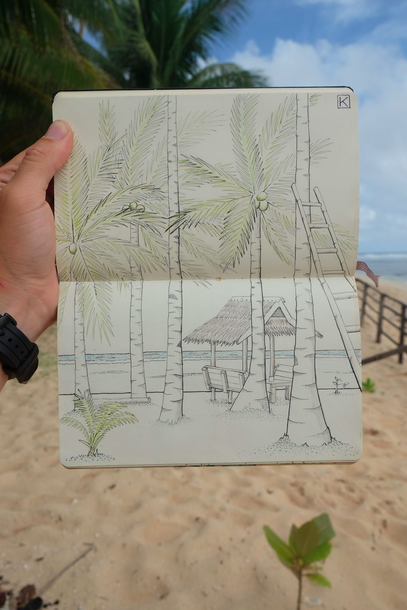 I couldn’t imagine picking up my life and just traveling like that. What a beautiful experience to share with someone.